The Team settings section enables you to set the name of your Team, allow or deny sharing out of the Team and change the Team owner. From the navigation pane, head over to the Admin page > Team settings. Let’s go through available options. Set and later change if needed the Team name. When you select the checkbox for Public links, you allow sharing dashboards, saved charts and presentations outside of the Team. 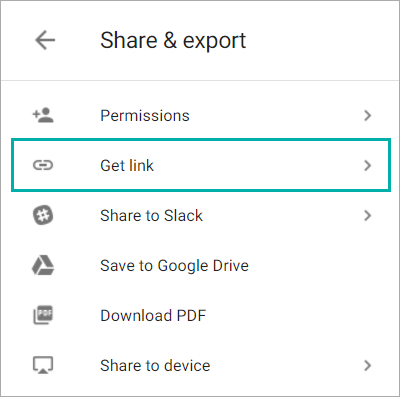 Once this checkbox is selected, you may notice that Get link option at the Share & export window appears. If you want to allow sharing dashboards, saved charts and presentations out of the Team to devices, just select the checkbox for the Sharing to device option. Once this checkbox is selected, you may notice that Share to device option at the Share & export window appears. In order to share dashboard, saved chart or presentation to device, you will need to send the device to https://tv.slemma.com. This device will generate an ID. Click the Share to device option and enter the generated ID into the corresponding field. Slemma provides dozens of customizations and white label options to make your Team account look best-in-class. To learn more, follow these articles: Branding and White label options. Sometimes our developers need to have the ability to access your Team accounts to resolve the issues reported by users or logged automatically. By selecting the checkbox for Allow Slemma Team to access user’s accounts for troubleshooting you enable such possibility for our developers and tech support team. For some reason you may need to change the owner of the Team (e.g. the current owner is going to leave the company, you need to give access to your payment and billing information to another Team member etc.). From the navigation pane, head over to the Admin page > Team settings, and click the Change owner button. In the dialog box that appears, select a new owner from the dropdown. The new owner should be the part of the same Team (add him to the Team, if needed). If you want to relocate all the objects from the account of the current owner to the account of the new owner, select the checkbox for Move objects to the new team owner’s account. Click OK. The previous owner will become a Team administrator.